Vanessa Vine went head to head with MP Peter Lilley live on Channel 4 news today. Peter Lilley was one of only three MPs who voted against the Climate Change Act. He is Vice Chairman and Senior Independent Non-Executive Director at Tethys Petroleum. This MP, and countless others, should NOT be telling the public that fracking has happened 200 times in the UK, without then explaining the differences between the two different methods of conventional and unconventional (extreme) oil and gas recovery. In doing so today, Mr Lilley gave the false illusion that this has regularly occurred when it HAS NOT. This is not the first time we have seen this. Thank you Vanessa for once again speaking so eloquently for us all and getting more FACTS out than someone who is referred to as 'Right Honourable'. There is no honour in intentionally misleading the Great British public. 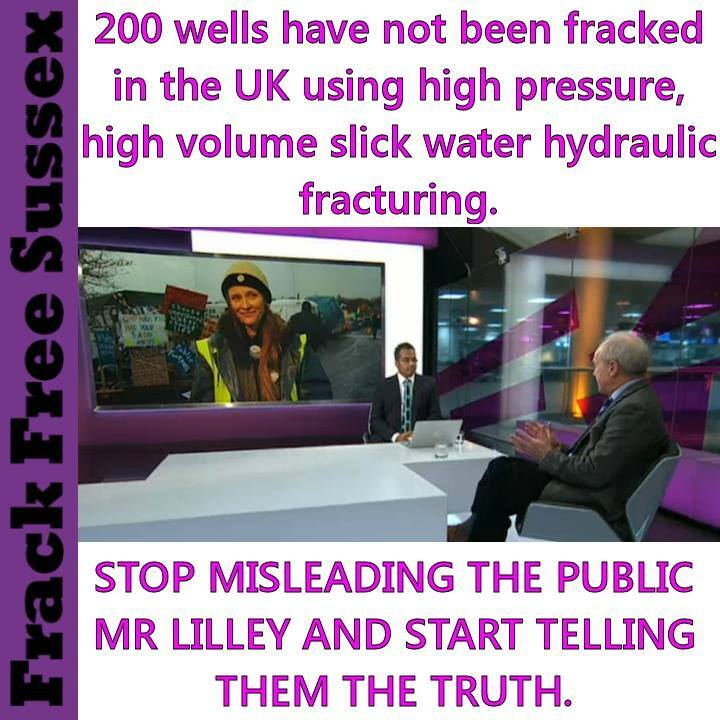 Shame on you Mr Lilley.